Jonian Dolphin Conservation, Taranto, Italy. Information, Photos and Reviews. 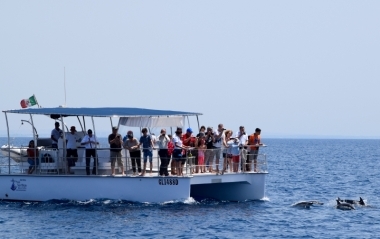 "ONE OF THE 21 BEST OF ITALIAN FOR EXPO 2015"
Jonian Dolphin Conservation is an association of scientific research aimed at studying cetaceans in the Gulf of Taranto in the Northern Ionian Sea Tues. 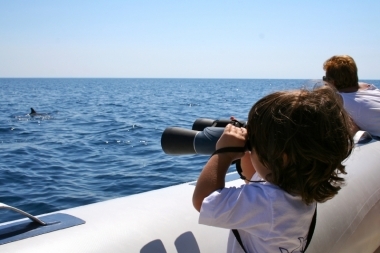 Since the know of the marine environment in its many different aspects, the members of our working group put their experiences and skills available for research in the most profound sense of the word. 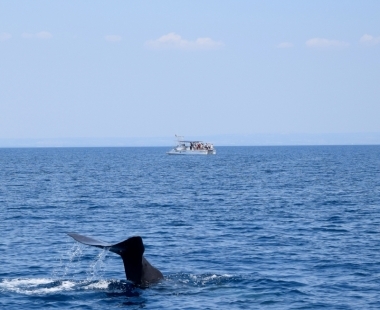 The objective of protecting cetaceans in the Gulf of Taranto can be achieved only by creating awareness in the population that cetaceans still exist in our sea. Such awareness can only be achieved by creating knowledge. JDC is specialized in the management of marine projects with particular focus on the environmental impact study; specialized in the design and conduct of Marine Mammals Surveys with visual and acoustic equipment and skilled personnel; He made documentaries and set up exhibition space for exhibitions and events on issues of marine environment; It conducts activities dolphin watching involving tourists and citizens on board its BOATS ; shall, in cooperation with other organizations / institutions, research activities at sea, using nautical means equipped with echo sounder, multiparameter probes, photo-video recording systems in HD, hydrophones for bioacustica studies; It leads sighting campaigns and scientific research on cetaceans for students of lower and upper secondary schools; He produces professional courses such as Marine Mammal Observer and the Whale Watchers operators. The association has participated since 2010 to OBIS-SEAMAP, the interactive portal of Duke University that collects worldwide data on sightings of cetaceans. (http://seamap.env.duke.edu/ dataset / 812). It is one of 20 national excellent choice to represent the Region of Puglia at Expo 2015. In 2013 it was ranked in 1st place in the "Scientific research and technological innovation," the Sea Heritage Best Communication Campaign Award, an international award for all subjects - Public and private - who have developed projects or interventions for the development, promotion and dissemination of maritime heritage. You will actively participate in climbing on board our brand new boats designed and built specifically to get involved in activities for the protection and conservation of cetaceans in these waters for over 4,000 years. 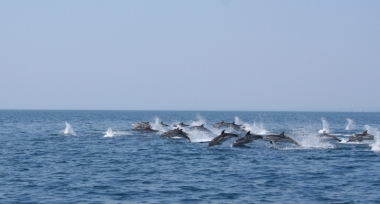 You, with researchers at the JDC will identify specimens photographing their dorsal fin (photo identification), you will hear, and will register whistles and clicks of the sheets (vocalizations), will collect environmental data on evaluation of the Ionian Sea (oceanographic parameters) and you fill in the cards cetacean sighting. All these data will be used for the production of scientific publications useful for the protection of cetaceans and will continue to integrate our database. During all these activities, our crew it will also taste local specialties. This casting off at 10:00 - The recommended boarding is 30 minutes prior. The landing at 15:30 approximately. Nobody has reviewed Jonian Dolphin Conservation yet, Be the first. You are submitting a booking enquiry. Jonian Dolphin Conservation will then contact you by email with details of availability and prices.